WASHINGTON -- Volkswagen Group is recalling about 850,000 VW and Audi vehicles in the U.S. due to potentially faulty airbags made by Japanese supplier Takata, which is at the center of a long-running global safety crisis. VW brand said it will recall 680,000 vehicles in the U.S. due to the potentially faulty airbags, while Audi said it will recall about 170,000 vehicles. 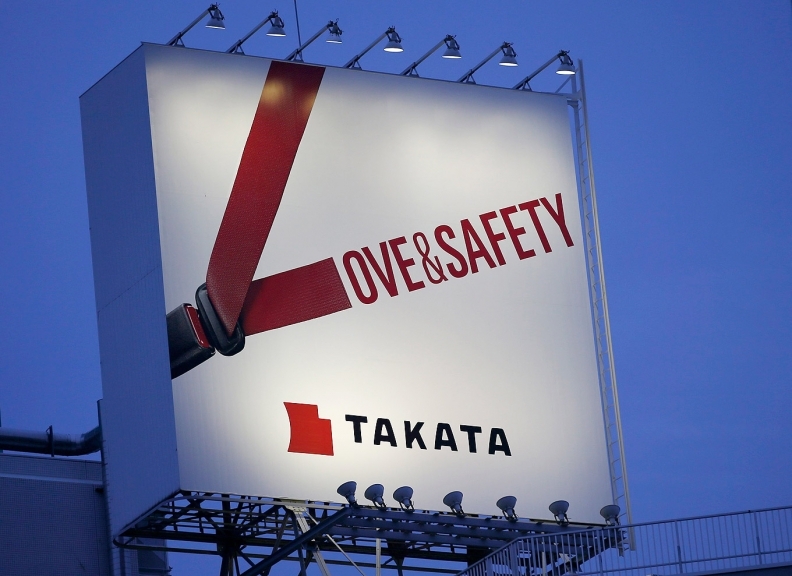 The move comes after U.S. auto safety regulators said last month that Takata had declared 5.1 million U.S. vehicles defective, revealing that far more airbags than previously thought were potentially unsafe. BMW said it will recall about 840,000 U.S. vehicles equipped with the Takata airbags. The recall covers BMW cars and SUVs from model years 2006 to 2015. The models have not been included in previous Takata-related recalls, BMW said. Takata's inflators can explode with too much force and spray metal shrapnel into vehicle passenger compartments. They are linked to at least 10 deaths worldwide and more than 100 U.S. injuries. Problems with Takata airbags were first reported in 2009. So far, 14 automakers have recalled a total of about 24 million U.S. vehicles involving about 28 million Takata airbag inflators. The VW recall covers the 2009-2014 Volkswagen CC sedan, 2010-2014 Jetta SportWagen and Golf compacts, 2012-2014 VW Eos convertible, as well as 2012-2014 Passat midsize sedans assembled in the United States and 2006-2010 Passat sedans and wagons built in Germany. Audi’s recall covers the 2005-2013 A3 compact, 2006-2009 A4 Cabrio, 2009-2012 Q5 crossover and 2010-2011 A5 Cabrio. A VW Group statement said it was unaware of a ruptured SDI or PSDI-5 inflator, the types involved in the recall, in any VW Group vehicle worldwide. Audi and VW said they will notify owners of the recall once they identify the specific vehicles affected by the recall. However, replacement parts are currently unavailable, according to the companies. Affected vehicles in Audi and Volkswagen dealers’ certified pre-owned inventory at dealers will be placed on stop-sale until repairs are completed, spokespeople from VW and Audi said. The VW Group recalls come after Daimler said Tuesday it would recall 840,000 U.S. vehicles with Takata airbag inflators that could be defective. Daimler said it was recalling about 705,000 Mercedes-Benz cars and about 136,000 vans after being notified by the U.S. National Highway Traffic Safety Administration (NHTSA) that certain Takata airbags were potentially defective. Cars being recalled include the Mercedes-Benz SLK convertible, the C-class and E-class sedans, the M and GL-class SUVs as well as the R-class and SLS coupe made between 2005 and 2014. Daimler is also recalling vans made between 2007 and 2014, including vehicles bearing the Dodge, Freightliner and Mercedes-Benz Sprinter brands. Daimler said it was unaware of airbag failures in its vehicles, and that the numbers of vehicles involved in the recall could fall once further technical studies had been carried out by NHTSA. Daimler said it would take a charge of 340 million euros ($383 million) to cover the cost of the recall. It will account for this by revising its 2015 financial results published last week, lowering net profit to 8.7 billion euros and earnings before interest and tax (EBIT) to 13.2 billion euros, from 8.9 billion and 13.5 billion euros respectively. "This (340 million euros) is quite a big shortfall but the main message is that the current financial year will not be affected," said Frankfurt-based Bankhaus Metzler analyst Juergen Pieper who kept his "buy" recommendation on Daimler's stock. More airbag recalls are likely. Other manufacturers have announced big recalls of cars with Takata airbags over the last few years. A number of automakers from top customer Honda to Mazda have said they will no longer fit the product in new cars, fanning concerns over Takata's future. U.S. regulators announced on Jan. 22 a new recall of about 5 million vehicles with potentially defective Takata airbags, covering some automakers not previously affected, including Volkswagen and Daimler. The move was prompted in part by the death of the driver of a Ford Motor Co. Ranger pickup truck, as well as new tests conducted on suspected faulty airbags. Honda has recalled 2.23 million U.S. vehicles in the most recent Takata expansion. Ford has recalled 361,000 Ranger trucks and Mazda nearly 20,000 B-series trucks built between 2004 and 2006. In November U.S. regulators fined Takata $70 million and it is still under investigation by the Justice Department.